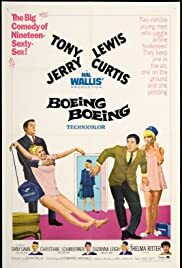 In my mind Jerry Lewis and Tony Curtis are two of the best actors of that era, and they both bring to this film a star quality, which I don't think the film could do without. Jerry Lewis proving himself to actually be a good actor without having to resort to over the top slapstick. And I really don't think I need to say anything about the greatness that Tony brings. The plot though kind of cute isn't all that, and I suppose nowadays is considered to be quite politically incorrect. However the plot is secondary to the interactions between the two main characters and the housekeeper which is really what the film is about. I used to watch this film on a very regular basis, and I would encourage everyone else to do the same!